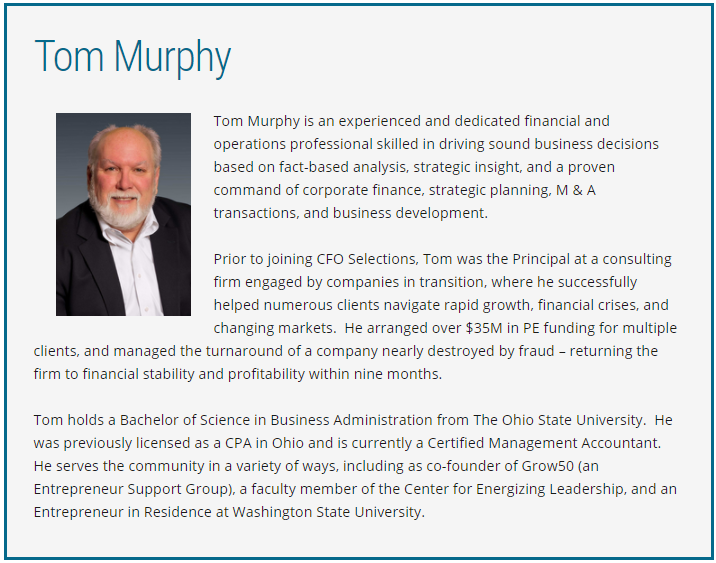 Tom Murphy is an experienced and dedicated financial and operations professional skilled in driving sound business decisions based on fact-based analysis, strategic insight, and a proven command of corporate finance, strategic planning, M & A transactions, and business development. Prior to joining CFO Selections, Tom was the Principal at a consulting firm engaged by companies in transition, where he successfully helped numerous clients navigate rapid growth, financial crises, and changing markets. He arranged over $35M in PE funding for multiple clients, and managed the turnaround of a company nearly destroyed by fraud – returning the firm to financial stability and profitability within nine months. Tom holds a Bachelor of Science in Business Administration from The Ohio State University. 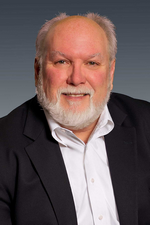 He was previously licensed as a CPA in Ohio and is currently a Certified Management Accountant. He serves the community in a variety of ways, including as co-founder of Grow50 (an Entrepreneur Support Group), a faculty member of the Center for Energizing Leadership, and an Entrepreneur in Residence at Washington State University.